Gnod are returning to play a second Golden Cabinet gig in Shipley less than six months after what was their awe inspiring show that they last performed here. The absolute beauty inherent in Gnod lies in their musical legacy that continues to grow, reinvent and transcend over any given influence or genre. A dark ambience will always consume their overall output whether in a live setting or through their recorded material. 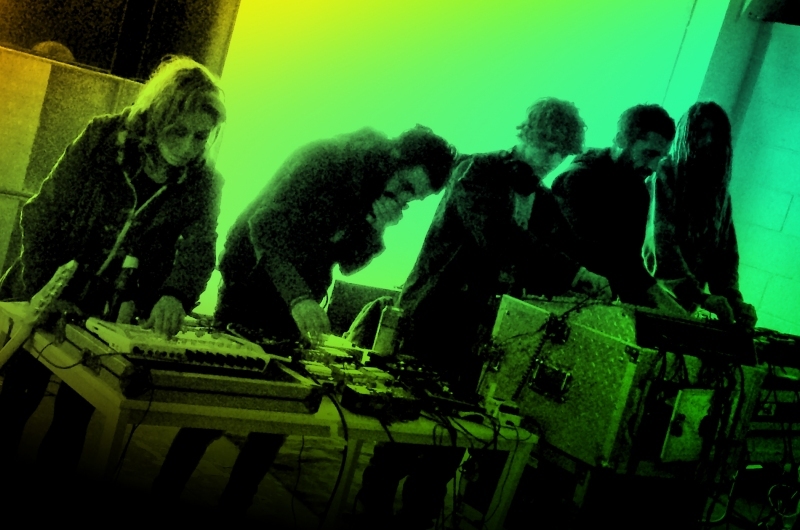 There could perhaps be moments of haunting minimalist kraut rock or a hypnotic all electronic trance set that they have favoured more recently. Prepare to be overwhelmed and as always - INGNODWETRUST. A meltdown of complete amplifier worship coutesy of Sunwolf. Monolithic sized chunks of instrumental psyche with walls of riffs that blend against their more ethereal and downbeat doom interludes. The contrast in maintaining their light and heavy sound lies in the beauty of the band creating an ever more thicker layer of punishing space rock. From the west country and who feature long serving members of the kraut rock / sludge band Hey Colossus. It would be best to put any of those comparisons aside as this three piece ensemble churn out a bass heavy and angular noise vibe with a large smothering of fuzzed out seventies boogie rock. Check out their debut album that's out now on Riot Season records. Cheap bar selling real ales and vegan cake. The Print Project and Colours May Vary will both being doing stalls at this gig.